When I was a kid, catching a double feature at the drive-in was a regular family outing in the summer. Drive-in movies are more scarce today (there&apos;s still one on Redwood Road), but the appeal of a movie under the stars hasn&apos;t changed. 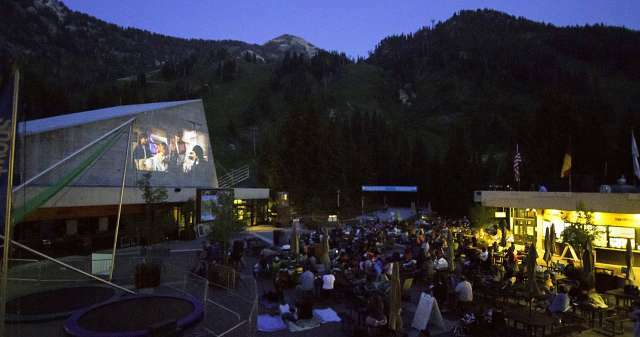 Community organizations throughout the Salt Lake Valley sponsor free movie nights all summer, screening family favorites, classics and indie films in parks and amphitheaters. The free outdoor movie season kicks off next weekend, Friday June 7, with Salt Lake City&apos;s Friday Night Flicks screening Beetlejuice at Liberty Park and Snowbird offering Ferris Bueller&apos;s Day Off on the Plaza Deck. So dig through the closet, find that favorite blanket, and get ready for free movies under the stars! Photo by Billy Hustace. Readmore from Marsha Maxwell at saltlakecity.about.com.